This page is a compilation of links to related Sigma DP1x reviews, user opinions and feedback, photos, picture galleries, tips, tricks, techniques and other reference information. 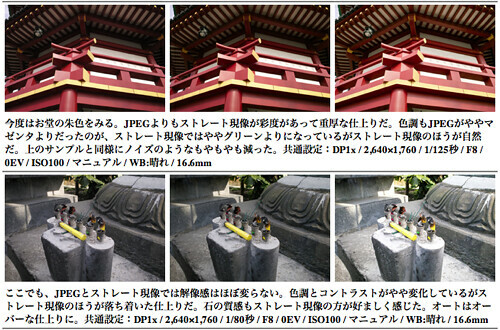 Look for full-size sample pictures in this Japanese-language Sigma DP1x JPEG vs RAW image conversion quality test at dc.watch.impress. RAW conversion was performed with two different development settings in the Sigma Photo Pro (SPP) software. A Sigma HA-11 lens hood was fixed to the lens for this review.